With Memorial Day approaching, we begin to gather to commemorate those who gave their lives while serving our country. This holiday marks the unofficial start of summer and the “100 deadliest days” for traffic accidents from Memorial Day weekend to Labor Day weekend. The rise in the number of cars on the road due to schools on recess raises the risk of car accidents, especially for teen drivers. According to the National Highway Traffic Safety Administration, crashes involving teens increase by 43%, and 40% of crashes are alcohol related. NHTSA estimated “nearly 1,000 people [were] killed in crashes involving teen drivers” between Memorial Day and Labor Day in 2012. Talk to your teens about the dangers of drinking and driving. Don’t over pack your car. Each passenger should have their own seatbelt. 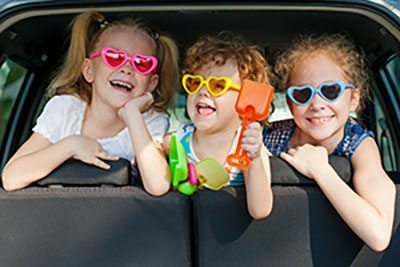 Young children should be in the proper car seat. Select a designated driver to stay sober while out for the night. Don’t be afraid to leave your car. It’s a lot cheaper to go back and pick it up than it is to pay off lawyers and fines for getting a DUI. As we celebrate the upcoming summer holidays, NastLaw would like to wish you a fun and safe summer.